If your Toyota car, truck, van or SUV is pulling to one side or taking longer than normal to come to a stop, it may be time to buy new tires. Balding tires that have smoothed over can lead to inefficient handling, poor performance, and most importantly, compromised safety. We have genuine Toyota tires for sale at our Toyota dealership near Overland Park, KS, that are matched exactly to your Toyota RAV4 or Corolla. We’ll even provide a complimentary inspection beforehand to make sure that your vehicle does indeed require new tires. If you’ve noticed that your vehicles’ tires are starting to show significant wear and tear, be sure to schedule Toyota service at Legends Toyota. Our factory-trained Toyota service technicians will mount, balance and inflate your tires, so you can return to Kansas roads in no time. Although many tires may be the right size for your car, that doesn’t mean that they’re the right option. 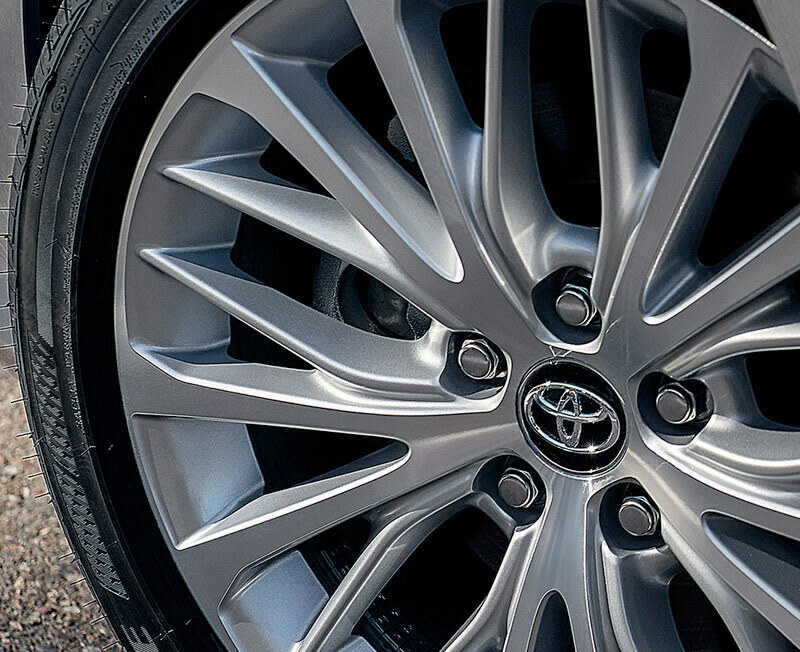 The service team at our Kansas City Toyota dealer will ensure that you have the absolute right tires for your specific Toyota model. Plus, with road hazard coverage included on eligible tires, you can drive with added peace of mind every day. View our Toyota service specials to see if we have any tire coupons available, and head to Legends Toyota near Overland Park, KS. Take on your commutes and adventures alike with new tires when you visit us today!